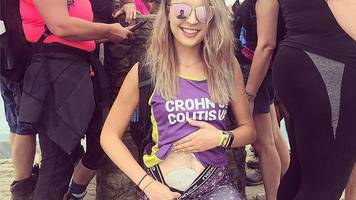 BBC Local News: Mid Wales -- Amber Davies opens up about having to dispose of her stoma bag while living with friends. What is it like to live in a house share with a stoma? Twenty-one-year-old Amber Davies, who has a stoma, struggles with strict bin rules.